Businesses involved in manufacturing can take advantage of manufacturer purchase order financing. This type of financing can benefit manufacturers, distributors, and both big and small companies that are in the supply chain industry. Meridian PO finance has for years, worked with these businesses to ensure that they deliver their goods on time. Meridian PO Finance is fully aware that these businesses need to ensure that they respond to orders from their customers in a timely fashion. With purchase order financing from Meridian, these businesses can have peace of mind having been assured that they’ll receive the financial assistance needed to complete their orders. If you are in the industry of manufacturing, and you have a need for products or materials from overseas, Meridian can provide assistance via Letter of Credit financing for importing of those products. Letter of Credit financing is a very common practice among financier to minimize risk when dealing with international suppliers. 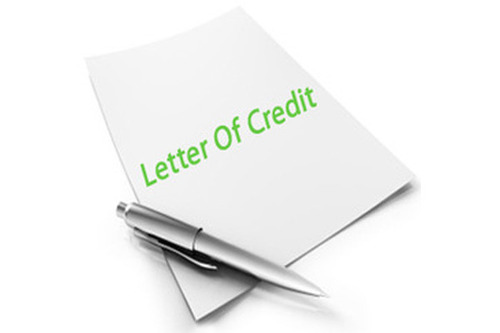 A Letter of Credit acts as an escrow account with funds allocated for specific goods to be purchased from the supplier. In order for the international supplier to cash in on the Letter of Credit, they must present the Letter of Credit documents to their bank, along with any other documents required (quality inspection report, copies of invoices, freight documents ect.) per the document. This assures that Meridian and their client’s requests are being met to the specification of the purchase order. Call Meridian PO Finance to get funded today! Will Financing Affect Ownership in My Company? One advantage of this type of funding is that it does not affect your ownership or stake in the business. Unlike funding from venture capitalists, it does not require you to give up equity in your company. Furthermore, venture capitalists prefer to fund to companies that can demonstrate a high growth rate, and greater rates of return on their money. Purchase order financing is a perfect solution for manufacturing businesses. Meridian PO ensures that you get funding for your supply chain processes within a relatively short period of time, to ensure that you can fulfill your customer orders without unnecessary delays. How many suppliers can Meridian finance? PO funding for manufacturers provides a convenient means for businesses to acquire finance for their supply chain operations. It is not uncommon to have a client present 1 to 10 to 20 supplier purchase orders to fulfill one customers request. Meridian has the experience, knowledge and tools to facilitate as many suppliers as needed to complete an order. We do require that our client must have at least a 20% profit margin in the opportunity presented in order for Meridian to provide up to 100% cost of goods financing to our clients suppliers. Since each opportunity present different risk and obstacles, Meridian will review it each opportunity on a case by case basis. If you are dealing with a supplier that is overseas, we will require that Letter of Credit financing be utilized to satisfy payment. Meridian can provide purchase order financing to manufacturing businesses from $10,000 to $10,000,000. Meridian can provide different types of purchase order financing tailored to fit your business needs, including Letter of Credit financing. Meridian can also provide alternative financing to benefit accounts receivables through Invoice Factoring. Through our account receivable solutions, Meridian can buy your invoice and advance cash payments for businesses struggling with their cash flow. Our clients are able to take advantage of both Purchase Order Finance and Accounts Receivable financing all under one roof. Talk to Meridian PO today for comprehensive purchase order financing services you need to make your business successful.